In 1982, Vincent K. McMahon bought his father's wrestling company, the Capitol Wrestling Corporation, and set out to realize the vision known today as the World Wrestling Federation. Like other professional wrestling operations of the time, Capitol was a regional enterprise. 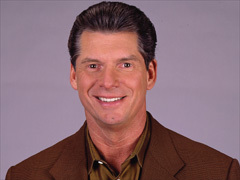 Vincent K. McMahon's combination of sports and entertainment gave the Federation an appeal that attracted a much broader audience than before. Since that time, the World Wrestling Federation has become the recognized leader in sports-entertainment, attracting half a billion global viewers each week in addition to enormous live event success. In addition, the Federation is home to some of the greatest athletes in the world, from realms such as boxing, football, powerlifting, basketball, Ultimate Fighting and much more. It's a formula for success that Mr. McMahon uses to drive the Federation to new heights of prosperity each year, while at the same time giving the fans the entertainment value they rightfully deserve. It's the era of "Attitude" at its finest, and the McMahon family is the proud catalyst.